I used to be one of those people who over decorated for everything. I would have some type of decor item on every flat surface in a room. I had seasonal greeting items that I would hang on both our official front door, and next to the door to our kitchen where we come into our house. I used to have decorative kitchen towels that I switched out for every holiday. I had centerpieces that sat on my dining room table and scented jar candles for every season even though they made my head hurt. My decor was a mix of cheap Christmas Tree Shop items from our early married days, and hand-me-down items from my step-mother. They all worked together nicely, and the mix was a little bit country and a little bit kitschy. I had little children during those years and I enjoyed decorating the house for them. My kids are both in college now and my decorating tastes have changed over the years. I no longer decorate for every holiday and I like a more minimalistic style. Except for Easter and Christmas, I decorate seasonally, focusing on only a few areas. My favorite area to switch out seasonally is the top of this dry sink in our dining room. In the original layout of our house there was a fireplace behind this wall, facing one way or the other, we aren’t very sure. For years I had the idea of creating a faux mantle on the dining room side, as we have a large piano on the other, but I just could not make it happen. One day I got the idea to move this dry sink in from our kitchen and it created the perfect “mantle” area I was looking for, in addition to providing storage for board games in the bottom. 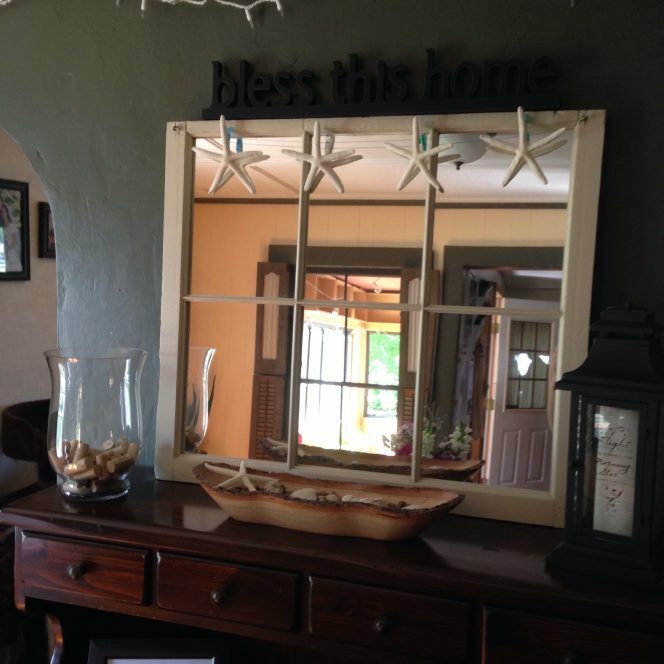 My dad gave us that antique window and a friend of ours created the mirror out of it. It is one of my favorite decorating items. One year I was gifted a Christmas card display set that contained that hanging wire you see at the top. It has allowed me to hang seasonal items from that mirror as I see fit. Those star fish came from a Michael’s store, and I left the plastic tag holder on them which allowed me to use colorful mini clothes pins to hang them on the mirror. 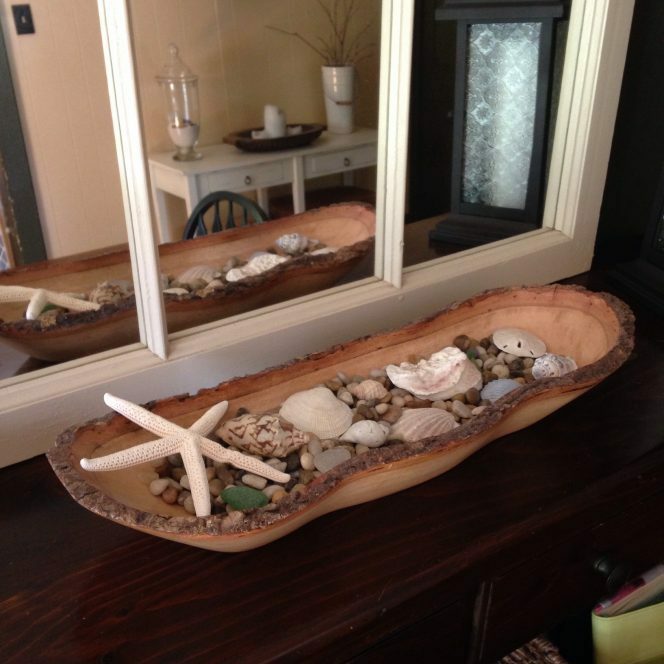 The wooden dish bellow it is another item that sometimes contains seasonal decor. It usually holds decorative round balls that are often used as vase filler. At Christmas I fill it with large round ornaments. During the summer it contains smooth river rocks and shells we have collected over the years at the beach. Also in this room is an apothecary jar that I picked up on a great clearance sale at Pier 1. The sales clerk tried to convince me that I needed two, but I had a clear vision that included only one, and I stuck to my plan. At Easter time this jar is full of natural colored eggs, then is replaced with a small grapevine wreath and a few eggs for the remainder of spring. During Christmas it also contains colored ornaments. It is one of my favorite things to decorate. There are only two other areas of my house that get seasonal decorations. One is this hutch that lives in my kitchen. 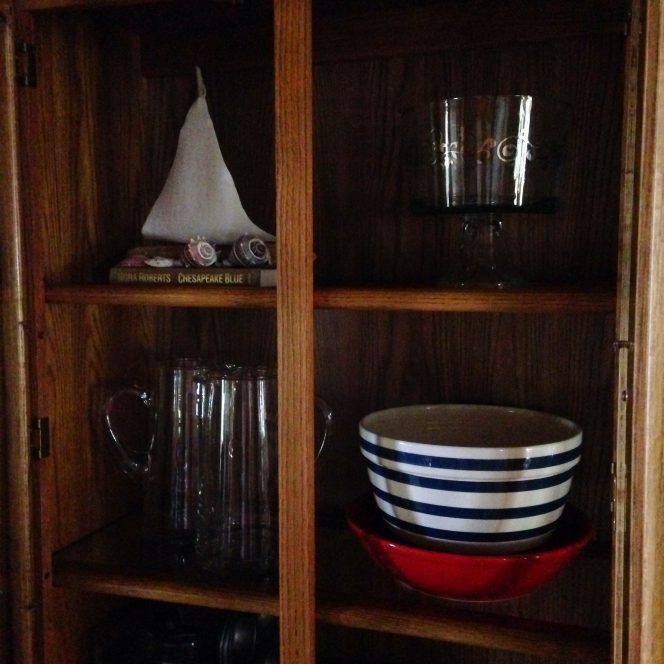 For the most part the items in my hutch remain the same, as it is used to store serving pieces. However, one spot is reserved for serving pieces that fit with the season (hence the red and blue/white bowls), and the other spot holds some other seasonally appropriate item. This little sailboat used to live on my porch. I created it out of a bit of fabric and a piece of driftwood I collected from the shores of Lake Ontario. It sits on a summer-themed book, and a few sea shells surround it. I’m not sure I love it here but it’s working for this season. The other spot I decorate is my porch. We come into the house through the porch, which is enclosed, as does anyone else who visits. I like the bit of cheer and greeting it gives. The globe lights stay up year round, as does the wreath. The wreath changes depending on the season. 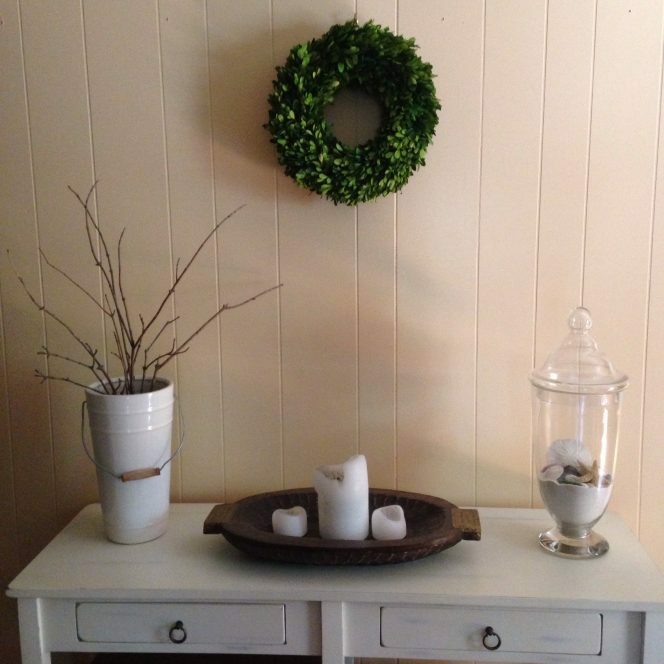 I created that wreath with a grapevine base and two flower swags I purchased at Michael’s. The lantern came from Ikea, and I have a red one that sits in a different spot on the porch during the winter. The book is there to encourage reading breaks this summer, either on the porch or in the hammock. This little table gets used for eating lunch, writing letters, or doing school work in the afternoon. It’s also a nice spot for puzzles and games in the evening as the back leaf can fold out and make it larger. 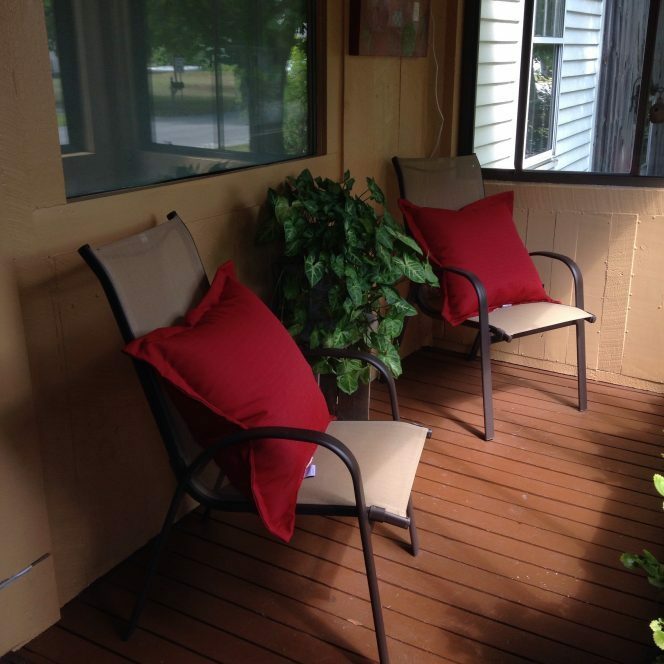 One thing I’ve done different this year is to bring my hammock pillows onto the porch when they are not being used. I am hoping this will prolong their life, and it also adds a pop of color to my porch. I should add that I bring three plants out to my porch for a bit of a “summer vacation” once the weather warms up enough (there is a long bench off to the right side of the photo). That is also an easy way to decorate with things you already have in the summer time. 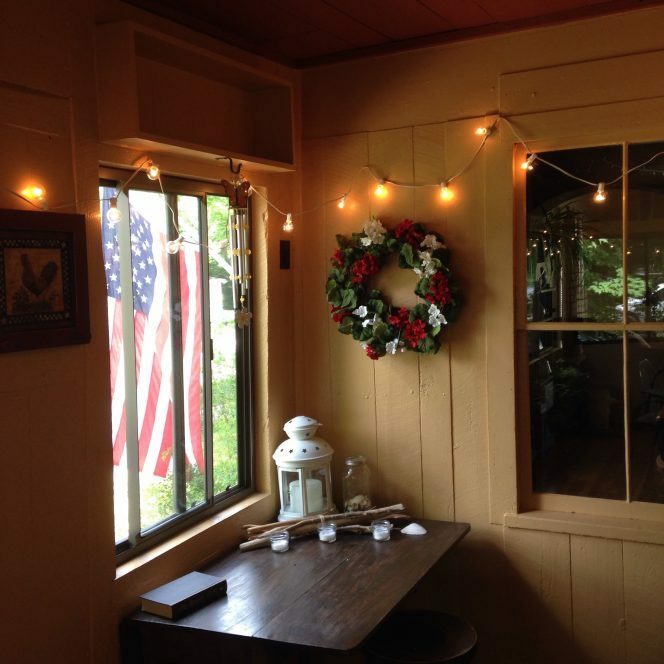 Those are the only spaces I decorate seasonally, and I could go so far as to say I don’t really decorate my porch very much in the spring, although this year I had a few potted plants there. The rest of my house, except the dining room stays the same except for during the Easter and Christmas seasons. I find that I like the “quiet” of those decor free spaces bring, especially after being at work all day or out in the busy world. I equally enjoy that when we gather together to share a meal, either alone or with friends, we have seasonally appropriate decorations that make our dining feel more festive. 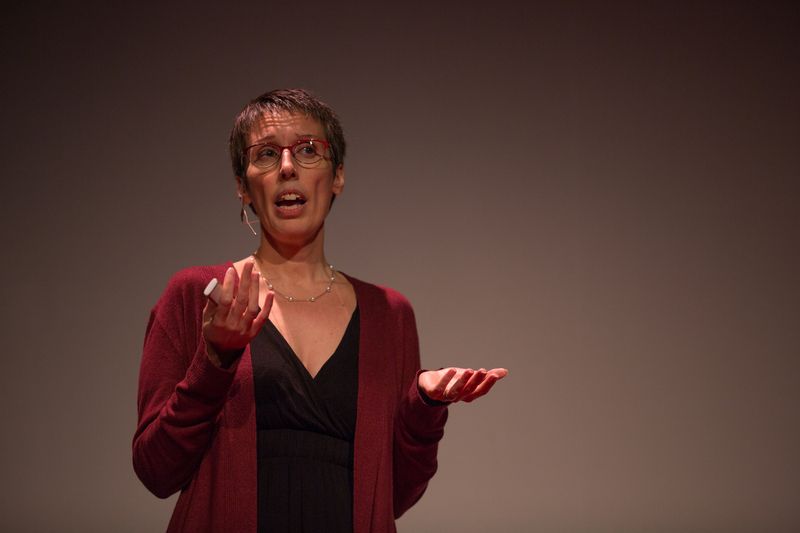 For me it has been about finding balance. That balance has come with minimal seasonal decor placed in a few key areas in my home.